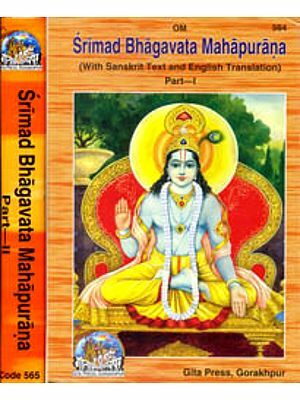 Srimad Bhagavata, an epic does not need any introduction to the learned people because it has been a treasure to them from the time immemorial. Besides, it has been a source of inspiration to those who treat it as a great classic, being a part of literature. So far as its linguistic meaning is concerned, it may fairly be said that Sri mad stands for Sri, meaning beauty and prosperity of goddess Laksmi and 'mad' meaning the form of Madana or Kamadeva. As such combining both Srimad stands for "exquisitely beautiful". The word Bhagavata has been derived from the word 'Bhaga', meaning the six divine graces collectively named riches, vigour, fame, beauty, knowledge and renunciation. From this it may be deduced that Srimad Bhagavata is a gem of good qualities. This classic epic has several parts named as Skandas (or books) of outstanding value. 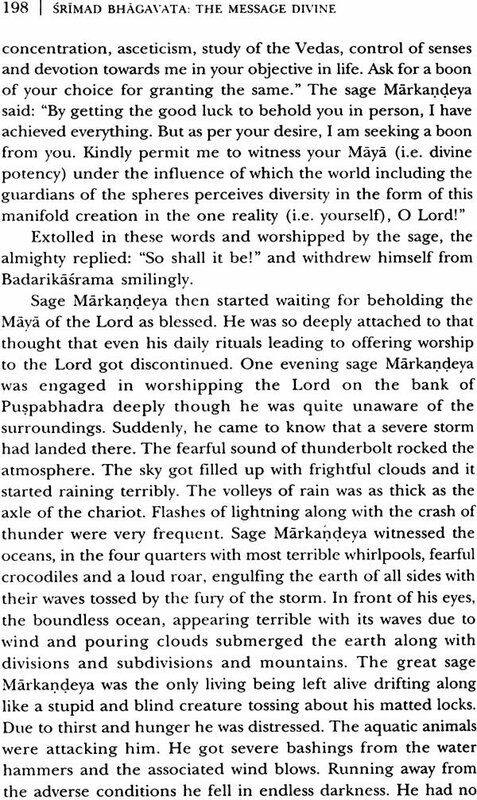 However, because of its thematic value and grandeur in style, adopted by the composer, it is also termed as Mahapurana. 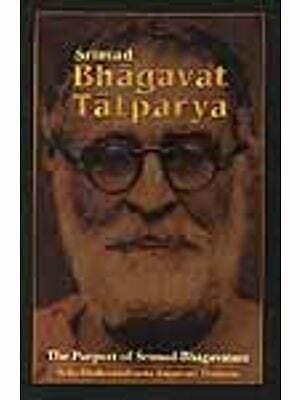 In fact, the sage Vedavyasa, over and above the work of expansion of Vedas, had composed Vedanta- Sutra, Mahabharata and seventeen Puranas including Padrnapurana before composing Srimad Bhagavata Mahapurana. The central theme of this Mahapurana is 'सत्यं परं धीमहि' meaning: "meditating on the taintless and immortal highest truth or reality in the Purusa-Supreme Lord Vasudeva." Epic projects this theme from the start (1/1/1) to finish (12/13/19) spread over in the body of this classic. It is told that the only truth is Lord Vasudeva since everything else is transcendental. The worship of truth runs from Book One to Book Twelve and wherever you move, you get the touch of truth in some form of Purusa-Supreme i.e. Lord Vasudeva. The various forms of Lord Vasudeva spread over Sri mad Bhagavata include incarnations as the divine Boar, Lord Kapila, Lord Nrsirnha, the divine Dwarf, Lord Sri Krsna, Lord Balarama, and Lord Rarna also. As per a popular belief, Srimad Bhagavata incorporates the body of Lord Sri Krsna in the Giridhari posture; it is because to keep His promise to Gopis at the time of departure from Vrndavana that He would come back to them after completion of His Dwaraka Lila, He did not go back to His abode Vaikuntha, rather mingled into Srimad Bhagavata Mahapurana to give company to Gopis. 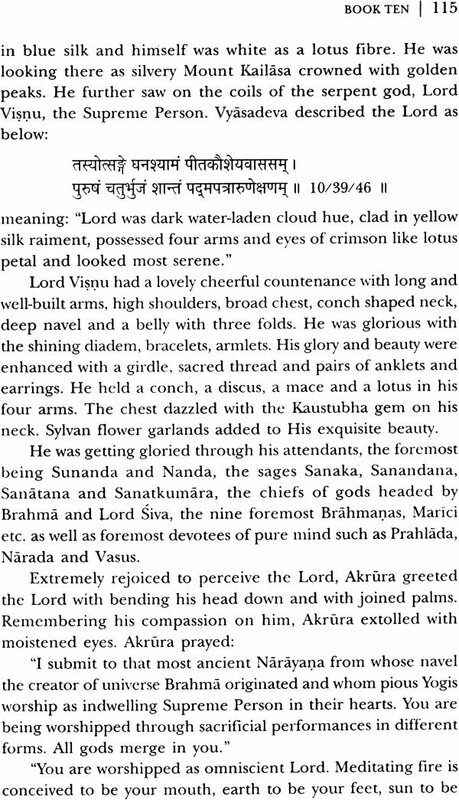 Giridhari posture, as told earlier, has something special. 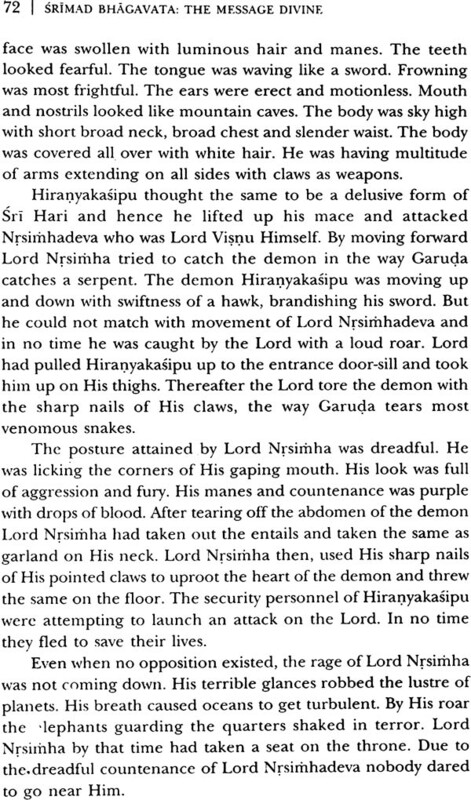 While the left arm of the Lord holds up mount Govardhana, the right arm rests casually on His waist. The specific connections conceived in the sequence of Book One to Book Twelve are as follows: right foot, left foot, right hip, left hip, right waist, left waist, right arm, right shoulder, left shoulder, bosom, temple and left arm respectively by going from bottom to top. 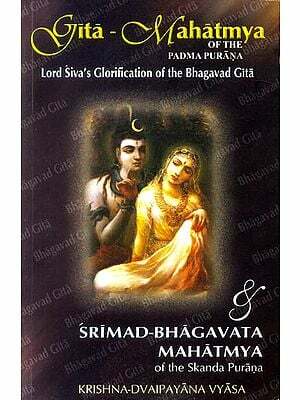 From this conception what is evident is that the Book Ten of Srimad Bhagavata is linked to the bosom or heart of Lord Giridhari, which deals with the divine Lilas of Lord Sri Krsna only and as such Lord Vasudeva is present in Srimad Bhagavata ever-willing to give company to His devotees. 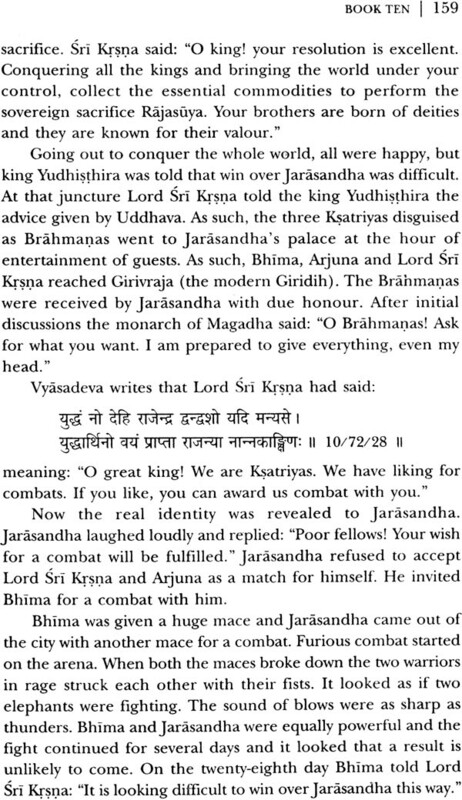 So it may be deduced that Bhagavata and Bhagavana (Lord Vasudeva) are the same. The status of Bhakta or Devotee has also been identified by the composer of the Bhagavata. According to the Lord: "Pious souls (or devotees) are My very heart (or most beloved to Me) while I am the very heart (or most beloved) of righteous. They do not have anything else dearer than Me nor do I know anyone else beloved than them." 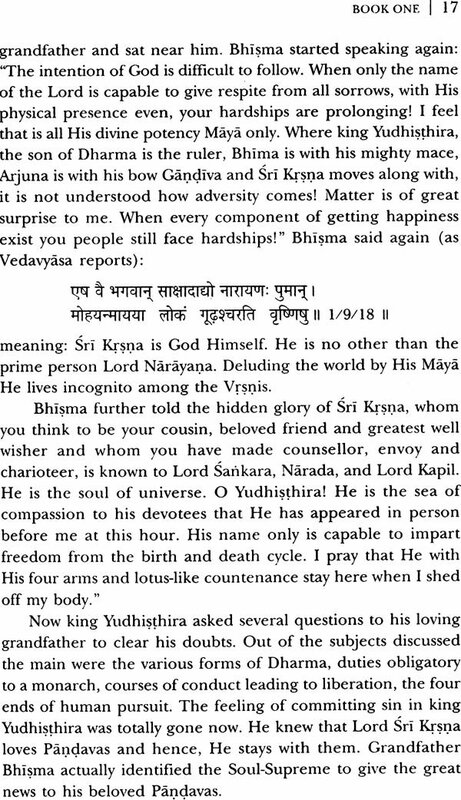 From this it is clear that Bhagavata-Bhakta-Bhagavana is one and identical. 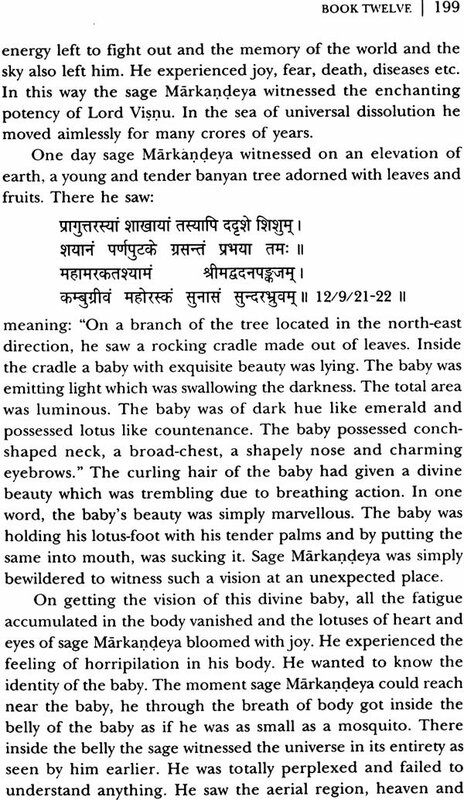 As regards the choice of the receiver of the sweet nectar, Bhagavata is unique. Truly, the safety of the material for preservation depends on the purity of the receiver. Here it is mentioned that the composer of the Bhagavata very skilfully passed on the nectar to the sage Sukadeva who happened to be the purest of the pure, holding knowledge of Brahma since birth. There was no possibility of loss of flavour of the item during his custody. 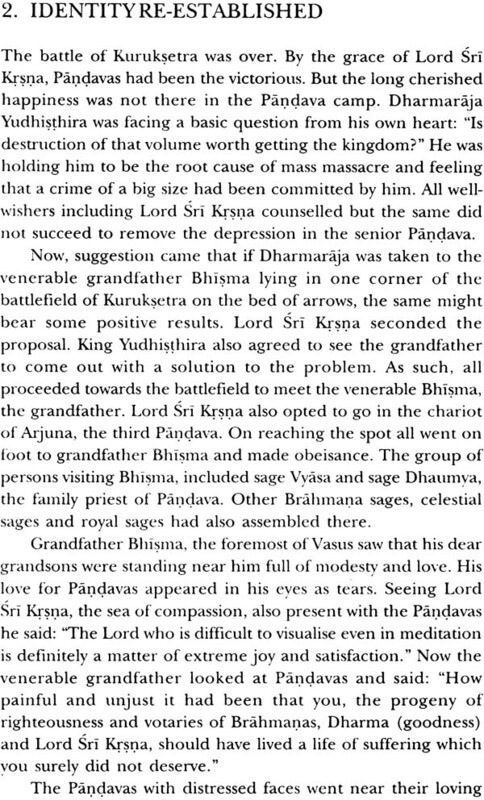 Sage Sukadeva also had decided king Pariksit, the grandson of Arjuna, the wielder of Candrva, as the suitable person for delivering the divine message, due to his nobility. Now one may ask: "How did king Pariksit become the right candidate to receive the nectar?" Actually, king Pariksit also was no ordinary person. Before he was born it was Lord Sri Krsna who had saved him in the womb of his mother Uttara from the Brahrnastra (or divine missile) of Aswatthama and he, as such, had the blessings of Lord Sri Krsna already. King Pariksit was ruling in a righteous way only and was respected by his subjects. He became a victim of imprecation of a Brahrnana sage due to some lapse on his part. On return to his palace, he understood that his act was improper. 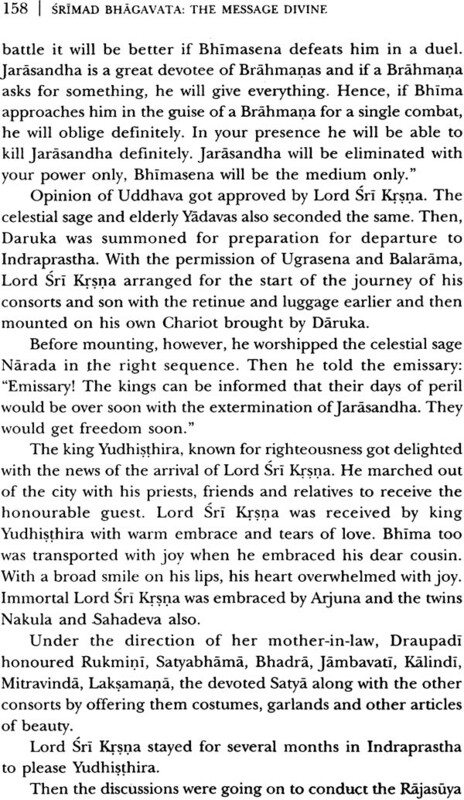 King Pariksit had, thereafter installed Janmejaya, his son as the monarch, next morning only and had himself walked down to the bank of river Canga in search of sacrament of penance. The divine Bhagavata-Canga was delivered to him bv sage Sukadeva in answer to his questions there only. Among the revered audience along with his father Vedavyasa and grandfather sage Parasara, Sura Ugrasrava was present who was famous for his great memory and oratory excellence. 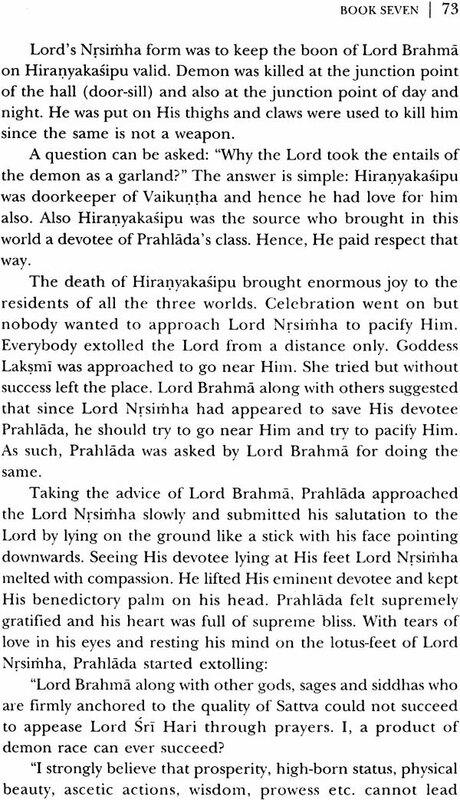 Sirta Ugrasrava had only repeated the same divine message Srimad Bhagavata, originally delivered by the sage Sukadeva, in the sacrificial session conducted by sage Saunaka and others in the Naimisa forest at a much later date, making the same available to the common people. King Pariksit on hearing the Bhagavata-Ganga was firmly established in the Soul- Supreme at the end and had became a liberated soul. He did achieve emancipation. 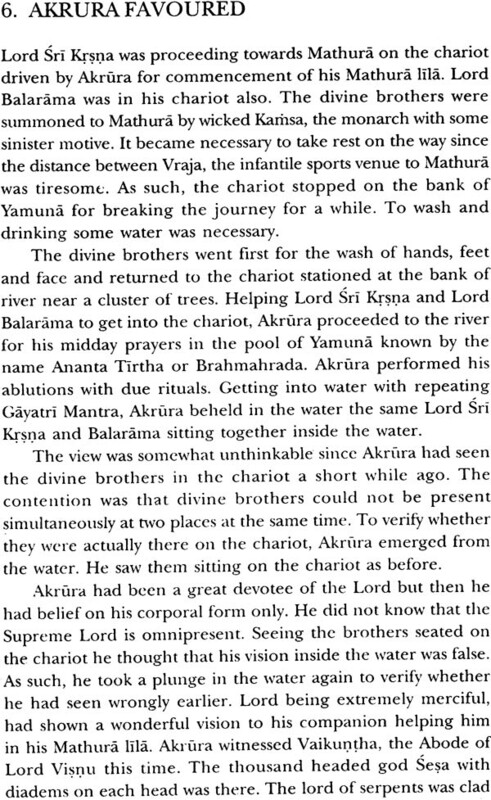 The same Bhagavata-Ganga flows even now welcoming devotees to take a dip into the same and walk towards emancipation. In the end, I wish to offer my special thanks to Dr. Subhrendu Bhattacharjya for his useful participation in this project.